Uni Watch: How old are you, where do you live, and what do you do for a living when you’re not on mop duty at Miami games? Rich Friedman: I’m 58 and live in Fort Lauderdale. It’s about a 50-minute drive to the campus in Coral Gables from my office. I am the Director of Account Management for a marketing company. UW: How and when did you get the mop gig? RF: The short answer: We asked. I’ve been a ’Canes fan since I moved to Florida in 1989. My friend Jeff Sorkin [who’s the other guy in the two top photos — PL] and I have had season tickets for football for about 10 years now, and our game-day group is up to nine seats. We added basketball tickets about five or six years ago, both as something to do to help bridge the gap until football starts again and to support the school. That’s a lot of games to go to, so you take in more than just the game after a while, and we noticed the mop guys and thought, number one, what a great thing to do — you’re right on top of the action. And number two, we could do that. We kind of mentally filed it away. Blake James: What can I do for you, Rich? Me: Well, my friend Jeff and I… we have had a fistful of football tickets for years and the two of us go to all the basketball games… and we would like to be the mop guys for a game. Me: Yeah, the mop guys (I pointed to the one on the court in front of us). We think we could do it, it would be a lot of fun, and we would have the best seats. Him (still trying to wrap his head around it): You want to be the mop guys? I sent the email the next day, and about two weeks later I received a message from Michael Turner, Assistant AD, Events and Operations. He explained that he was the Manager of Basketball Game Day Operations, and that we could help them out with this. UW: My impression, which I realize may be mistaken, is that mop guys are usually pretty young — like, student managers or something like that. Is it unusual for a mop guy to be, for lack of a better term, a grown-up? RF: I think you’re right. It seems like it’s usually college kids at the games I’ve seen on TV. When I visited my niece in New Mexico this winter, we went to a Lobos game, and they had actual kids doing the mopping. The one game I missed this season, one of the student managers did the mopping. According to Mike Turner, they have a list of student volunteers to do some of the game day jobs like mopping and being the grip for the camera guys and such. They do it to be close to the game. The student section seats are pretty good, but it’s nothing like being right on the court. UW: How many mop guys work at each game? Like, is it one person at each end of the court, or two people at each end, or what? Do you switch ends after halftime? Do you work every home game, or just some games? RF: Two mop guys per game; one under each basket. Jeff works the basket at the visitors’ end of the court and I work the Hurricanes’ side. I asked if he wanted to switch after the first game, but he liked getting to see all the visiting teams up close, so we kept our own end for the rest of the season. After our first game, we thanked Mike and asked if we could do it again. After game two, we told him, “We want to do this for the rest of our lives.” He was kind of incredulous that anyone would want to do it, but he said sure, it was one less thing for him to worry about. So instead of him having to use student volunteers, we did the rest of the season, which included the entire ACC home schedule. UW: Are there any mop women? RF: I don’t know. Some of the grips are female, so I don’t see why there couldn’t be mop gals. UW: Are you paid by the game? By the hour? How much? RF: Ha! We would pay for the privilege. I assume NBA mop guys get paid, but I can’t imagine any school having a mop guy line item in their budget. UW: What sort of uniform do you have to wear? Do you have to pay for it? Do you clean/launder it, or does the team do that? What about footwear — is it provided for you or do you have to purchase it? RF: Mike explained that we have to wear Adidas-branded shirts for all on-court activities. Most of the things in my closet have “U” on them, but very few had the three stripes. 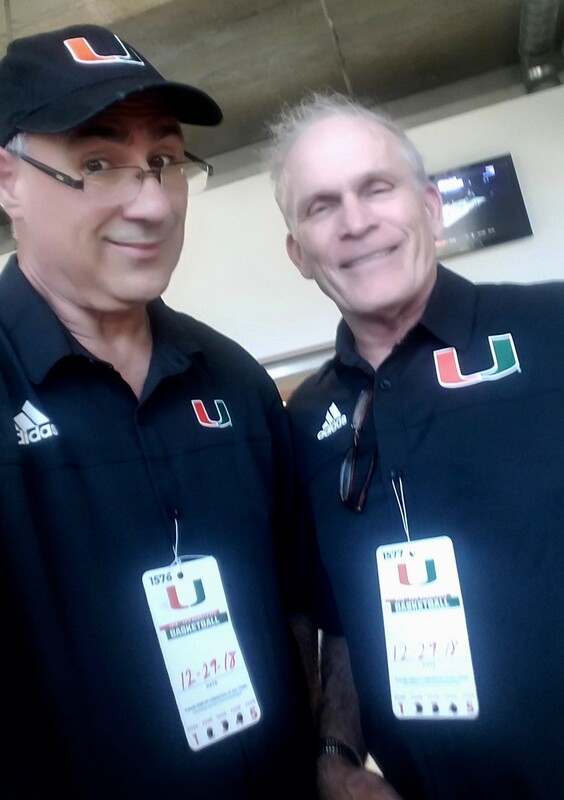 He offered to set us up with a couple of T-shirts, but we were so excited before our first game we went out and bought these nice, black, button-down shirts. Our caps and footwear are not made by Adidas, and we heard nothing about it. I don’t wear any hats that have a different maker’s mark, just to be safe. The male cheerleaders had some really nice Adidas sneakers that I haven’t seen for sale anywhere; I think I will ask for a pair next season. We wash our shirts at home. For pants, we can wear either long or short khakis. UW: Describe a typical game day for me. Like, how early do you have to show up? Do you put your uniform on at home, or do you do it at the arena? How late do you have to stay after the game? What do you do during halftime? What duties do you have, if any, other than mopping? RF: Jeff meets me at my office for weeknight games. We change there and get to the arena one hour before the game. 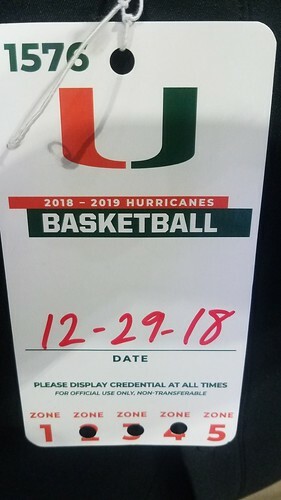 We enter through the employee entrance, greet all the ushers at courtside (they have the same sections every game), we get a towel from the ’Canes bench, we make sure we each have a seat by the basket set up and that the mop is there (we have no idea who puts them out), and we get to watch warmups. During halftime, we do a quick bathroom break, grab a bottle of water, and talk about the game. Specifically, we usually talk about the really cool things we got to see up close — dunks, slick moves, whatever. One game, we went up to our regular seats and visited with the guys in our section. After the game, our work is done. We stay to watch the ’Canes sing the Alma Mater and just take in the whole thing. UW: Who’s your boss, and how closely does he supervise you? Mike pretty much has bigger fish to fry during the game, so it’s our goal to be as invisible to him as possible. UW: This is going to sound dumb, but how do you know when you have to mop? Like, do you look for sweat on the floor, or what? Is it totally your decision when to mop, or do the officials tell you to do it? RF: Yes to all of the above. During TV timeouts (every four minutes), we do routine maintenance of the key area and inside the three-point circle. One timeout per half, I try to make it to center court to wipe that area down. Every time a player falls, I am up and giving the floor some attention. It’s a little stressful when the game is going on over on the other end of the court, but so far no incidents. If someone goes down and there is either an inbound or free throws coming, I just get on the court and mop. The players and refs are good about holding up the game for a minute; nobody wants to get hurt. A couple of times during the season, the refs would wave us out to a spot, or we would see the players kicking at spot. I take it as a professional affront when that happens and try to keep it to a minimum. Also, sometimes you can hear more shoe squeaking than usual. If I can figure out where that is coming from, I will hit that area during a time out. UW: Is there an art or special technique to mopping, or is it pretty basic? Is every swipe the same, or do you use different swipes/strokes/etc. for different situations? RF: It’s pretty basic. If there’s actual drops of sweat, I will mop a little more vigorously. And if it is real wet, I will get a towel and get on my knees and go old-school. UW: Is it possible for you to estimate how many mopping incidents you participate in during a typical game, or how many individual swipes/strokes? RF: Guessing swipes and/or strokes would be difficult. The timeout maintenance is more of one steady brush — think of a Zamboni on wood. There are ten TV timeouts per game, plus I would estimate another 10-15 incidents where the floor will need attention. UW: Do you ever get sore? UW: I assume the mop head gets swapped out from time to time. How long will a typical mop head last? Will a dirty one get cleaned, or are they just discarded? RF: The “mop” is a microfiber cover on a long mop head. When we show up, the mop is already there, so I’m not sure of the mop maintenance schedule. One night, the women played a game before the men. By the middle of the second half, it wasn’t nearly as absorbent, so I went to a towel. I am guessing that the mop head is well-equipped to handle a full game. We were told that there are spare mops (probably just spare microfiber covers) available if the situation requires it. UW: When you’re not mopping, are you sitting, standing, or what? RF: When we’re not mopping, we have the best seat in the house. I am right alongside the basket stanchion, about five feet from the baseline. I am on the side with the in-house cameraman and the grip. On the other side of the basket is the TV guy and his grip. A couple of feet behind us are the black, VIP seats; behind them, the cheerleading squad. It’s a perfect spot for watching under-the-basket activity. And when the action’s at the other end of the court, watching the plays develop is totally different than the view from the stands. UW: Do you ever talk to the players? To the refs? To the fans? RF: We were specifically told not to interact with the players, and I haven’t had much to do with the fans. I usually talk to the refs who are hanging out at my end of the court during the first TV timeout, just to say hello. During the game, if I see them looking at a spot on the court not in front of me, I will get up holding the mop where they can see it, catch their eye, and we have a quick head-nod discussion to see if they think that spot needs attention. UW: Do you hear things that the average fan doesn’t get to hear? Any good examples? RF: Oh my god, yes. There’s non-stop discussion going on while the players are lining up and taking foul shots. There’s a ton of trash talk, but there’s also a lot of discussion between the players and refs as to why the just-called foul was indeed a foul. This isn’t the regular grumbling about a bad call — the refs are giving the players both verbal and physical feedback. That’s great to watch. Of course, there is also grumbling. One time, as the players were lining up for foul shots, the ref who was running the shots said to one of the players, “I don’t know what you are complaining about… you were all over him. Two shots!” I may have been the only non-competitor who heard him say that. Also, it’s fun to watch the players set up defenses after a basket. Dejan Vasiljevic was extremely involved in that: “You get number 10; I’ve got this guy.” Just like in the park when we were kids. Last, watching Jim Larranaga work is a real treat. The guy never stops coaching. One time, the ’Canes were on offense on the far end of the court (I mop on the home team side of the arena), and something went wrong, ending in a turnover. 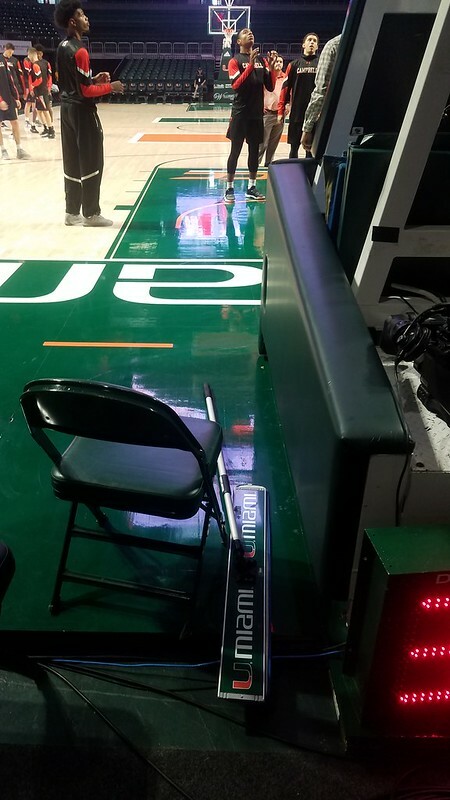 Coach Larranaga turns to the players on the bench, and says, “See… That’s what happens when you do that!” I’m sure all of the coaches do that to some extent, but watching him all season turned into a happy bonus of the mopping gig. UW: Any particularly good stories/anecdotes about things that happened while you were on the job? RF: One game, Chris Lykes took a charge and wound up flat on his back. He’s running around directing the offense virtually the entire game (the Hurricanes only had eight scholarship players this year), so he works up quite a sweat by the end of the second half. I came out to wipe down whatever was there, and there was a perfect imprint of his NOB and uniform number on the green paint of the key. Absolutely perfect. I wanted soooo much to take a picture of it and send it in to you for the blog; it killed me to wipe it into oblivion lol. UW: Anything to add? Anything I haven’t asked about that you want to tell me? The response I get to the mopping gig from people is either “You get to mop? How cool!” or “You have to mop? Why?” There’s no middle ground. I think Mike Turner and Blake James still believe we’re crazy for wanting to do this, but they have been supportive and super-nice the entire season. Mr. James sent me an email and stopped by at halftime one game to thank us. My mother is sure that I’m nuts, but she understands that it makes me happy, so she watches the games on TV and looks for me. What I would give to be a fly on the wall when she explains this to the other women at her assisted-living facility! For a lifelong sports fan, this is the best thing ever. We get to be part of the game, we get to see and hear stuff we would never be exposed to otherwise, we have arguably the best seats in the house, I was on SportsCenter one time that I know of, and we’re kind of the envy of all of our friends who like sports. I get the impression that the people who are in the “sports industry” often take the access they have for granted; that’s not the case for us, and I don’t think it ever will be. Paul here. Please join me in thanking Rich for answering all my questions so thoroughly and entertainingly. That was a really good interview! So lately I’ve given in and done a few email interviews — first with armband collector Harrison Hall and now with the Mop Guy. I tried to sequence my questions in a way that would create some sense of narrative flow, and I’ve been pleasantly surprised by how well these interviews have turned out. Hope you agree! MLB Preview reminder: In case you missed it on Tuesday, my 21st annual Uni Watch MLB Season Preview is now available on SI.com. Thanks to everyone who had kind words to say about it yesterday. For those who are asking/wondering: No, this does not mean that SI has replaced ESPN as my new very-tall-building-media home. It’s just a one-off, at least for now. • The Titans announced that they plan to enlarge the numerals on their light-blue jerseys next season, because owner Amy Adams Strunk thinks they were too hard to read. • Dolphins beat reporter Joe Schad says the team will have an alternate jersey in 2019. • Bears chairman George McCaskey says the team will have some sort of uni-related announcement relating to the team’s 100th anniversary — so probably a new throwback — next week. • Eagles owner Jeffrey Lurie, who unsuccessfully attempted to challenge the one-shell rule in 2017, is apparently going to make another run at it, although his timetable is to get the rule changed for 2020, not 2019. • The Browns re-confirmed that they’ll have new uniforms in 2020. This prompted a bunch of idiots on social media to say, “It’s because they got OBJ,” even though the reality is that we’ve already known for a long time that the Browns would have new unis in 2020, but why let reality get in the way of a good narrative, right? Raffle reminder: We’re once again partnering with Vintage Brand for a raffle. The winner will get to choose any single item from the Vintage Brand website (like the nifty coasters shown above, which are based on a ticket stub from the first game in Mariners history). To enter, send an email to the raffle address by tomorrow, March 28, 7pm Eastern. One entry per person. I’ll announce the winner on Friday. ALMOST GONE — sock update: Honestly, I never would have guessed that these Uni Watch socks would be so popular. We started a week ago with a carton of 100 pairs, and now we have fewer than 10 left. So if you want a pair for yourself, move fast! Full details on how to order can be found here. Thanks. 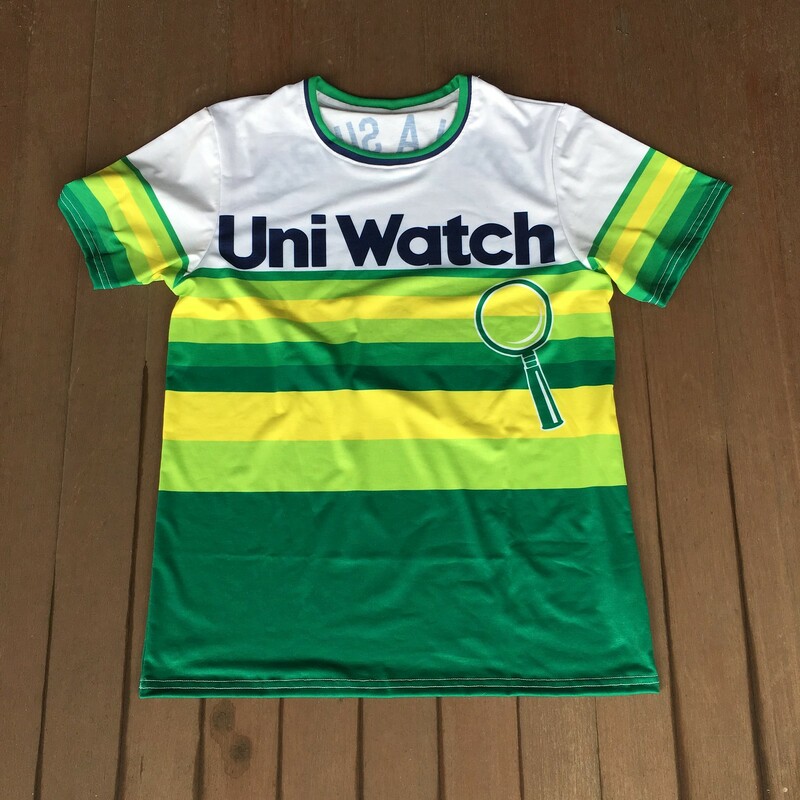 I’m really happy with this one, and I’m excited to have it in the Uni Watch shop. Sublimation is a pricey process, so the shirt ain’t cheap — $35.99 — but I think it’s pretty special. 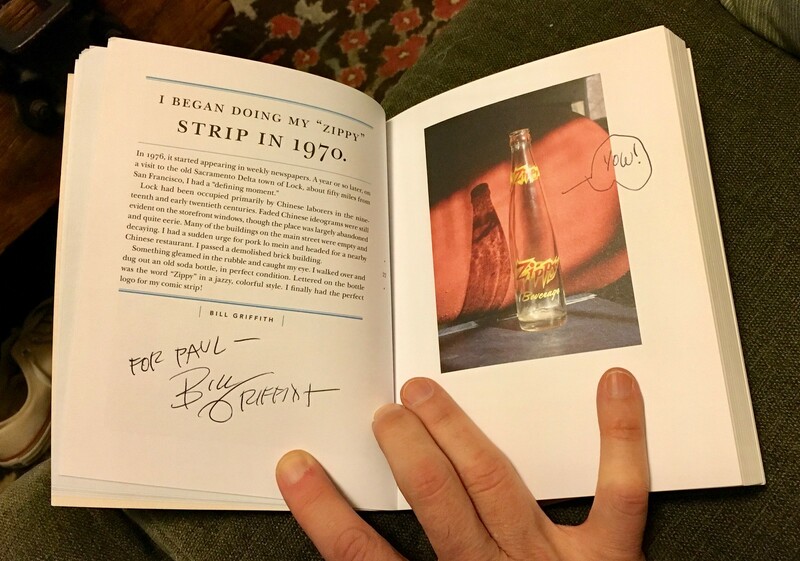 You can order it here. Baseball News: Check out the stirrups on these New York Giants and Cubs players from 1936. 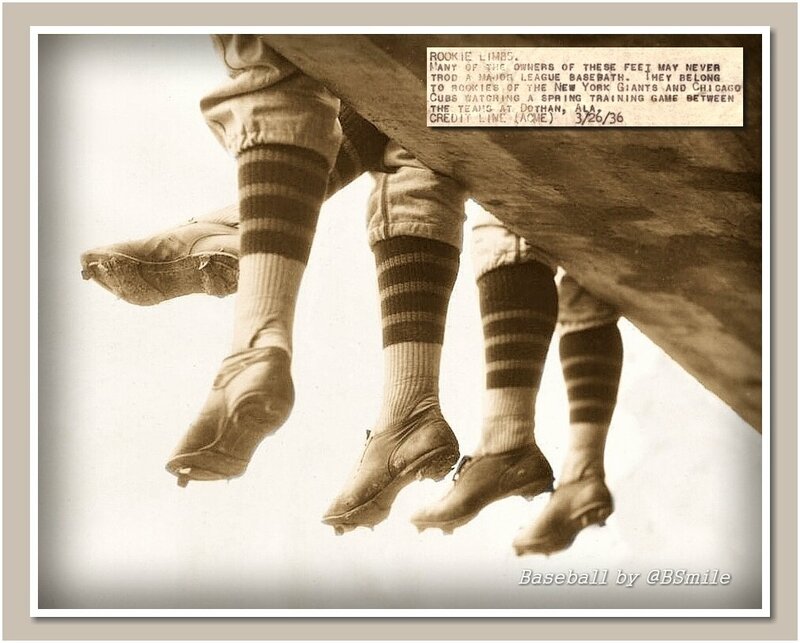 The caption on the photo reads, “Rookie Limbs — Many of the owners of these feet may never trod a major league basepath. They belong to rookies of the New York Giants and Chicago Cubs watching a spring training game between the teams at Dothan, Alabama” (from @BSmile). … Also from @BSmile: Here’s a photo of Dodgers C Steve Yeager and former skipper Walter Alston wearing “Old Timers” jerseys at spring training in 1976. … Twins LF Eddie Rosario had these custom cleats made for him (from Ted Schwerz). 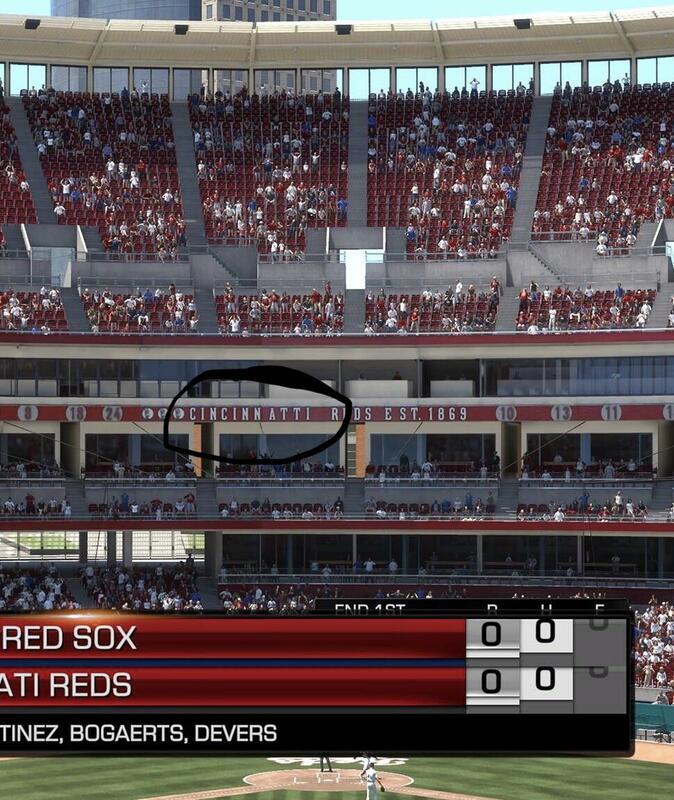 … Looks like the developers of video game MLB The Show 19 can’t spell “Cincinnati” (from @Coach_KT). 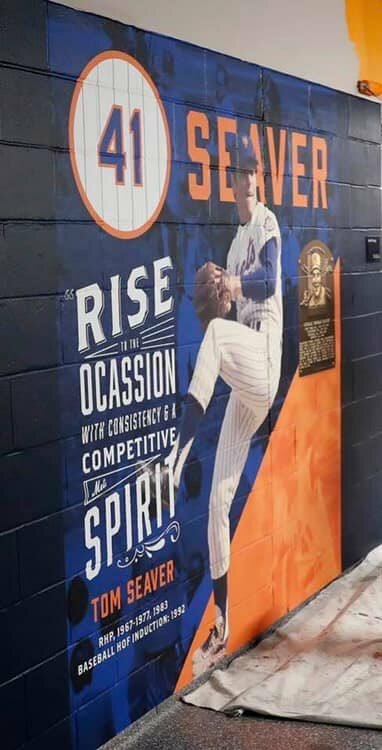 … In a related item, it looks the Mets can’t spell “occasion” (from multiple readers). 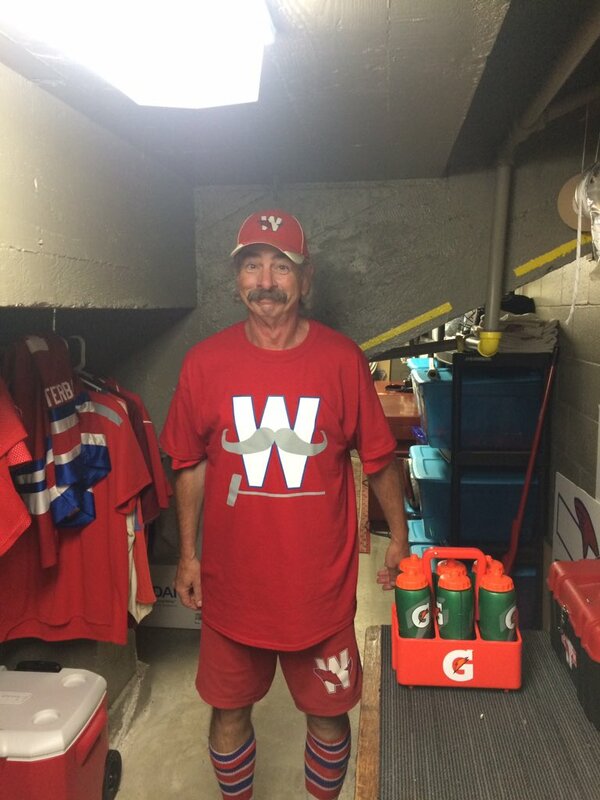 … Throwbacks for the Pensacola Blue Wahoos, Double-A affiliate of the Twins (from Brian Donahue). … Astros OF George Springer wore a throwback NFL Houston Oilers hoodie when he spoke to the media yesterday (from Clark Haptonstall). … Fashion brand DKNY and MLB are partnering up for a women’s clothing line (from Jason Hillyer). … In the 1920s, the Government Publishing Office fielded two baseball teams due to segregation. Here’s what they looked like (from @VictoryCB). … Here’s what Rangers fans will be eating at the ballpark this season (from Jim Vilk). … The Rays have installed blue LED lighting on the roof of Tropicana Field to help fielders avoid losing the ball in the lights (from Jeremy Fallis). 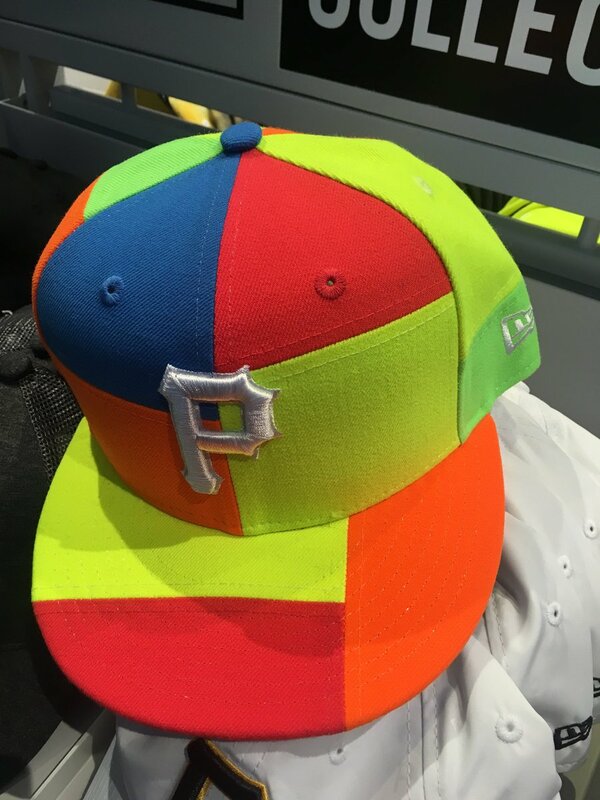 … There’s a new (and loud) multi-colored cap at the Pirates team store (from Jared Grubbs). … Here are some MLB helmet banks (from Joe, who didn’t give his last name). … Brandiose, not content to redesign every minor league team, has now partnered with the Charleston RiverDogs to create Bellyitcher Ale (from multiple readers). … UCA and Mississippi State softball both wore teal to honor Mississippi State P Alex Wilcox, who died last year of ovarian cancer (from Brad Teague). 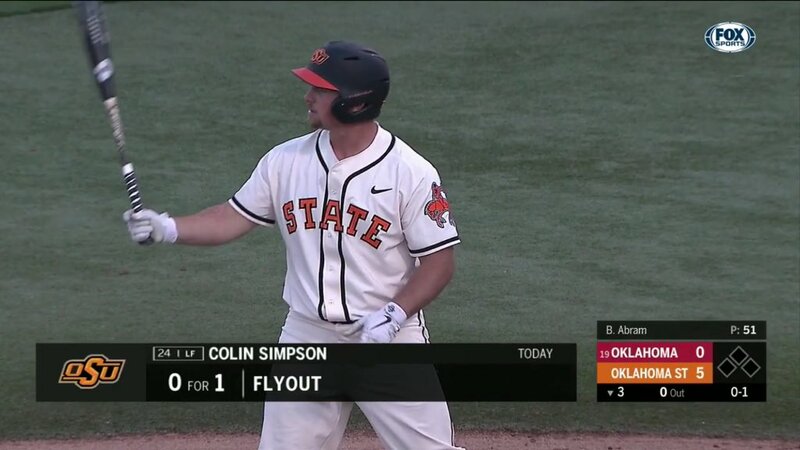 … Very nice throwbacks yesterday for Oklahoma State (from Glenn Brockenbush). Football News: Cross-listed from the baseball section: Houston Astros OF George Springer wore a throwback Houston Oilers hoodie when he spoke to the media yesterday (from Clark Haptonstall). … Here’s what Florida players are wearing for Pro Day today (from Moe Khan). … Check out this “glorious” program from a Nebraska-Notre Dame game in 1923 (from James Burke). … Here are two guys assessing the uniforms of the AFC South (from Jerry Wolper). 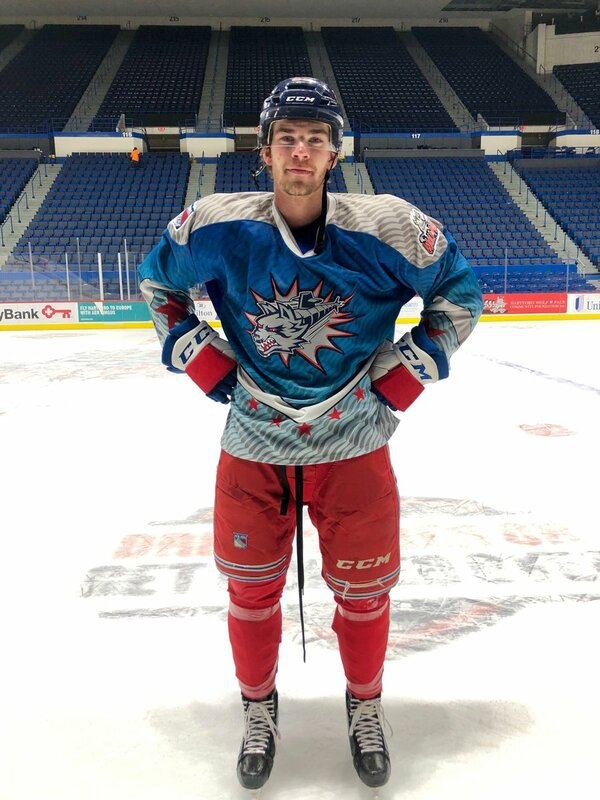 Hockey News: Here’s a full view of the superhero jersey for the AHL’s Hartford Wolf Pack (from Mike Lucia). … An Aussie football team has poached the Coyotes’ logo (from Brian Barrish). … The Minot Minotauros of the NAHL will be taking the ice this weekend in jerseys inspired by the race cars of the Nodak Speedway. Each player’s jersey will be different and reflect the livery of one of the participating race cars (from Ken Oda). … New unis next season for the Greenville Swamp Rabbits of the ECHL. Basketball News: Not even the Spurs’ announcement of Manu Ginobili’s number retirement is safe from “Presented by” advertising” … Lots of uni and logo action on this 1987-88 NBA official merchandise catalog (from @GameplanChicago). … Rapper Travis Scott has a Rockets-throwback-inspired jersey made by Mitchell & Ness (from Ignacio Salazar). 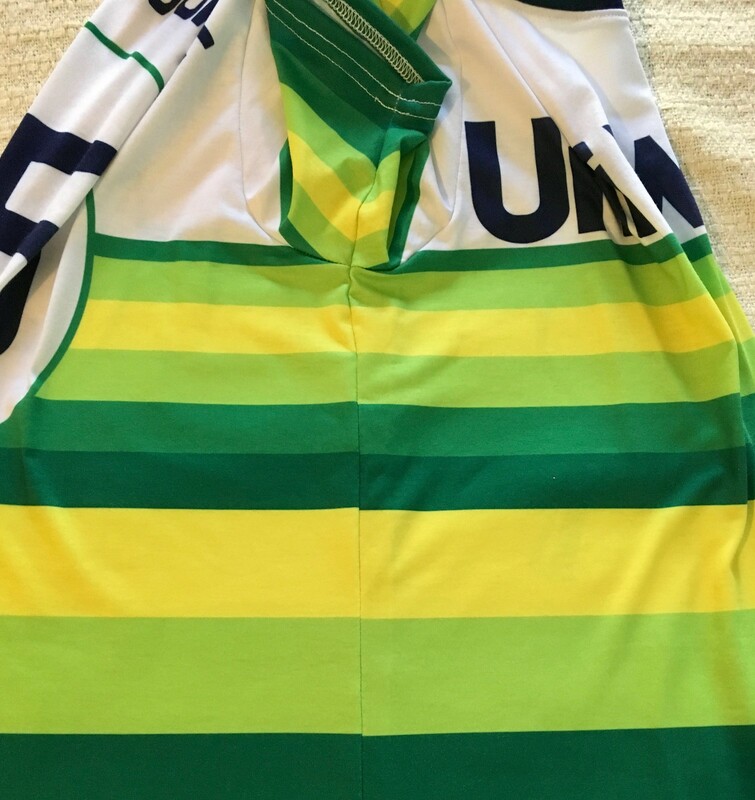 … This sportswriter ranked all of the SEC men’s jerseys (from Brian Mauro). 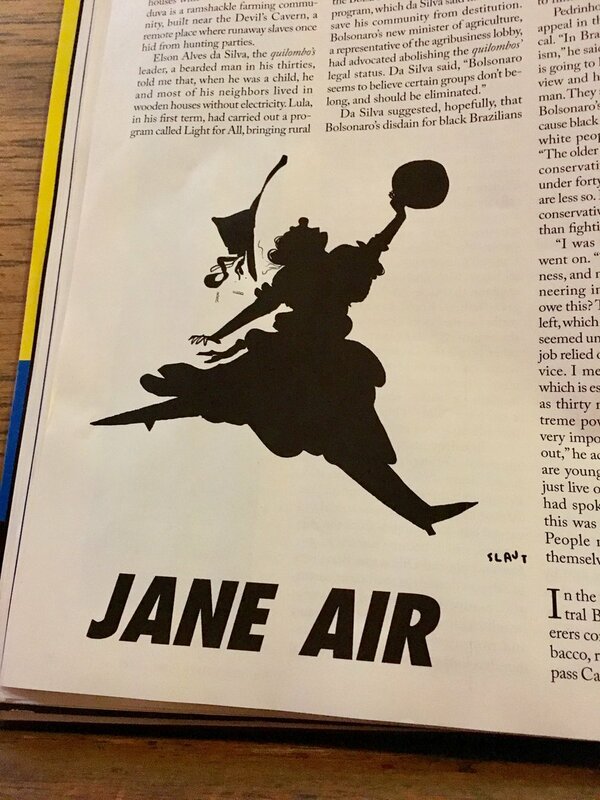 … A funny play on the Jumpman brand in this week’s New Yorker. … In a related item, Jacobus Rentmeester, who is credited to have taken the picture which inspired the Air Jordan logo, lost his copyright infringement case against Nike (from Tom Turner). Soccer News: New crest for Bristol City. It will be used at the start of next season (from Josh Hinton). Grab Bag: Denver men’s lacrosse went BFBS last night against Princeton to honor the black uniforms that the 1992 Princeton team wore when head coach Bill Tierney won the first of six NCAA championships (from Griffin T. Smith). … A West Virginia man protested getting his state’s new biometric driver’s license by wearing Native American head garb (from Max Weintraub). 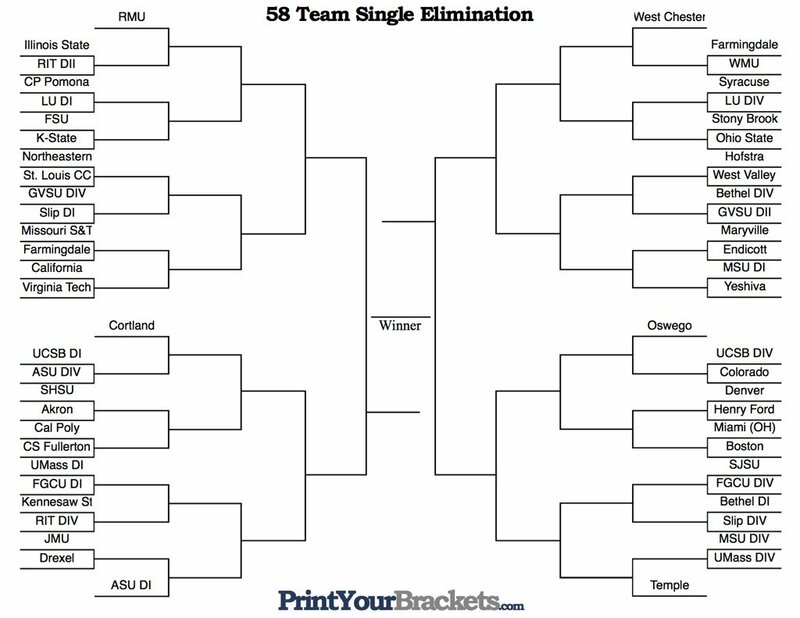 … Here’s a 58-team uniform bracket for the National Collegiate Roller Hockey Association (from Taylor, who didn’t give his last name). … The first all-female space walk was canceled because NASA didn’t have two suits that fit (NYT link) (from Mark Johnson). … New logo for the State of Colorado (from Ryan Hess). … Cross-listed from the hockey section: An Aussie football team has poached the logo of the NHL’s Arizona Coyotes. 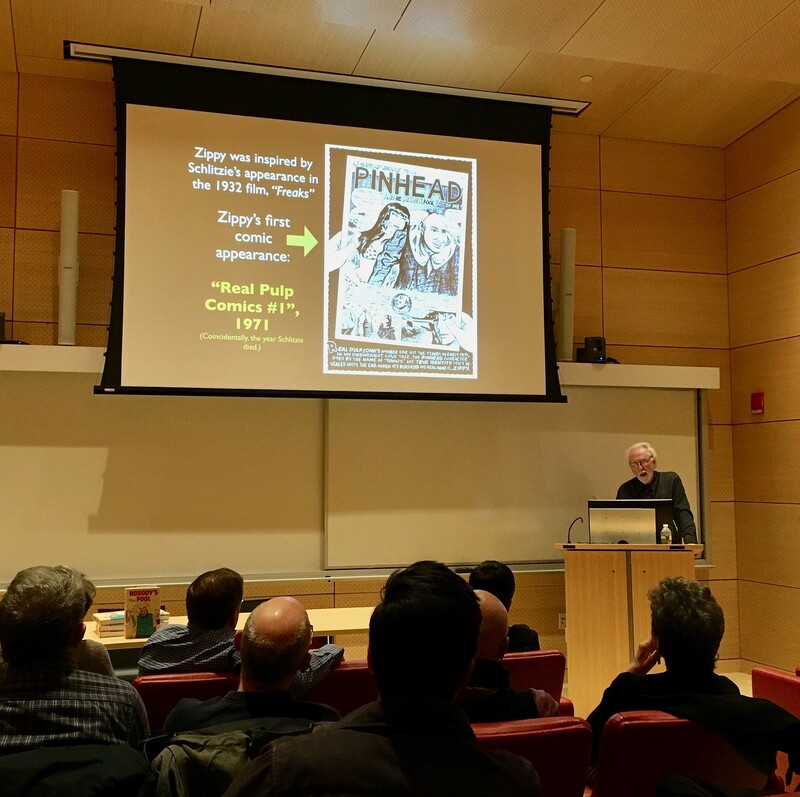 What Paul did last night: On Tuesday nights I often go to see a lecture series about comics and illustration at the Parsons School of Design. 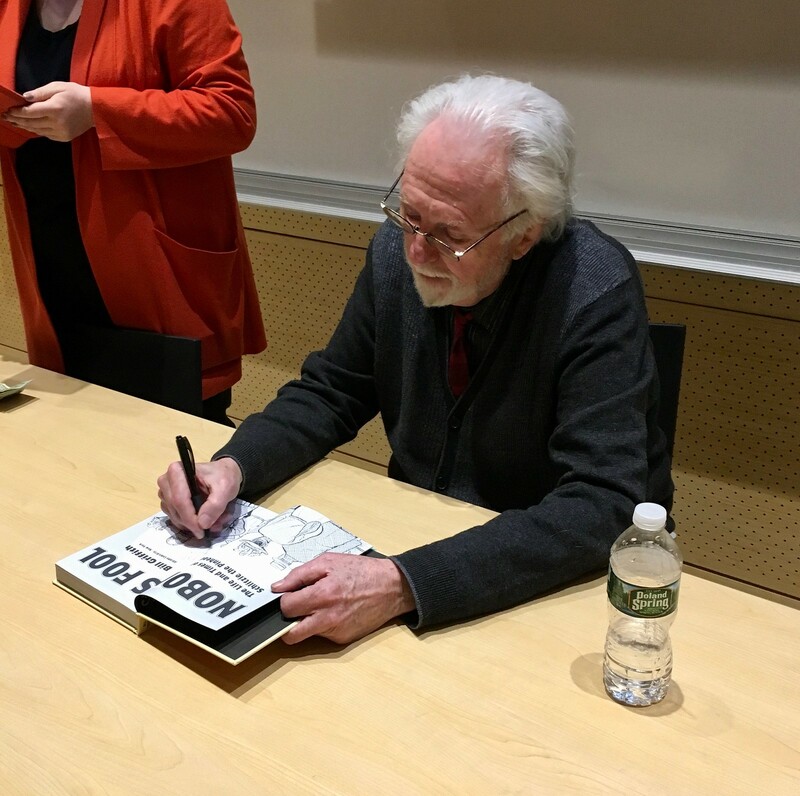 Last night the featured speaker was the great Bill Griffith, author of the long-running absurdist comic strip Zippy the Pinhead. That was swell. But frankly, what I did yesterday afternoon was even better than what I did last night. I’ll have more to say about that tomorrow or Friday. So it won’t be “5 and done” for Cleveland, it was so historically, MAC-like bad, it will be “3 and done”? Current set was introduced in 2015. So yes, five and done. One other question, how many “5 and done” failed uniform launches have there been? What the Titans should do is scrap that font. It’s too reminiscent of an Anthora coffee cup to me, and form is interfering with function. Don’t you think that’s exactly/sorta what they were going for?? I hate the font, but I get the thinking. Yes, but I find it a bit cheap looking, and somewhat kitsch. Like what someone who knows of Greece only from the coffee cups got the job to design the uniforms. I’m with you. The Titan’s number aren’t hard to read because they’re too small…..it’s because they have the most ridiculous font this side of Tampa Bay! As a former basketball manager, I heartily endorse today’s lead item. I get that the Jumpman logo/photo is cool, but I’ve never understood why they didn’t tweak it to get him out of a warm-up suit and into a uniform. ???? Imagine the NBA logo with Jerry West in a warm-up suit. Dont make the numbers bigger, Titans. Make the numbers THICKER. Or, you know, ditch the dumb font and replace it with block style, which everyone can read. Either/or. Waiting for one of the pro leagues here to do what La Liga and the English leagues did and make one standard number/name font for the entire league. A little uniqueness is nice (Bears, Cubs, Lakers), but now every pro and college team has gotten too cute with illegible ghosted numbers and bespoke fonts, replete with “back stories” laden with BS and corporate-speak. Function should never be trampled by form. I dunno, I can’t say that I want to live in a Uni-verse where every team has the same numeric fonts. There are definitely teams that have gotten a little bit too cute with their custom fonts, and certainly designers need to keep readability in mind, perhaps doing more testing with proposed designs to make sure the numbers are legible from the “cheap seats” and on TV. In my experience, the main problem with numbers that are hard to read comes from a poor choice of color contrast rather than the font itself. To add to the mop guy discussion – At Auburn, they tend to cycle between student managers working with the team and a group of young children. The children are “Managers of the Game” and sponsored by Children’s Hospital. They get a nice t-shirt and some video board time. They tend to just mop during the timeouts and such, sometimes being called in by the officials if need be. It’s been a bit of a contentious point on Auburn Twitter, as we know they don’t work as hard as the managers and don’t want anything to happen to the players because of some kids. Watching many games on tv, you see a difference in team managers and children, mop and towels, and all sorts of differences in mopping approaches. I personally don’t recall seeing any female moppers, but Auburn did have a female student manager for the men’s team recently. I wouldn’t be surprised if she ran the mops for a game or two during her tenure. Mississippi State softball player Alex Wilcox passed away last season, not Monday. For the love of Ditka, bring back the white on white road look with the white “C” decal on the helmets, Bears!! Always thought the Bears had one of the best white-on-white looks in the NFL, and so iconic, recalling the Butkus/Sayers years. It’s been criminally underused since 1984. Good to see a shout out to a hardworking mop guy. 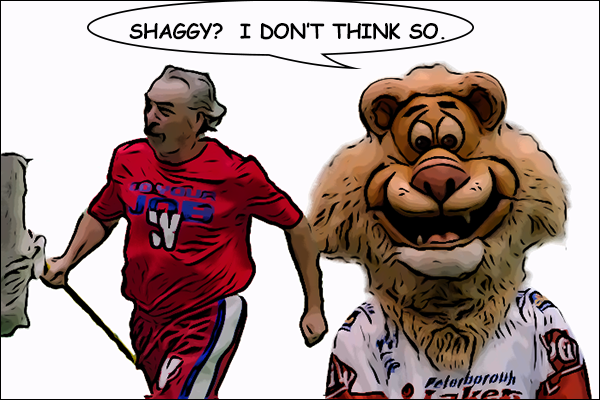 Speaking of prominent mop guys, want to shout out to Ken “Shaggy” Straw, who famously used to mop the green wooden floor at WLA New Westminster Salmonbellies games. Hope you are enjoying your retirement Shaggy. He was more well-known than some of the players. Fans cheered when he made his run off the floor after mopping up. Even had his own merch as you could get the Shaggy t-shirt. There’s an extra “for” at the end of the Swamp Rabbits item in the Ticker. 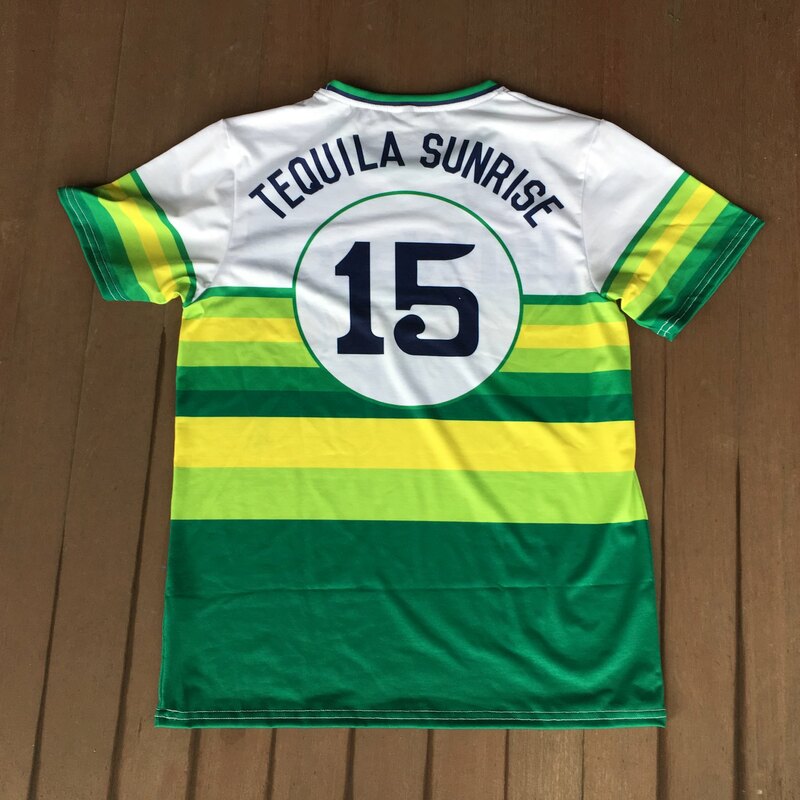 They appear to be the fourth team this year to go Tequila; Round Rock Express is wearing them on Sundays, the Reno Aces are wearing them for Latin heritage celebrations, and there’s one more who I don’t remember the name of. 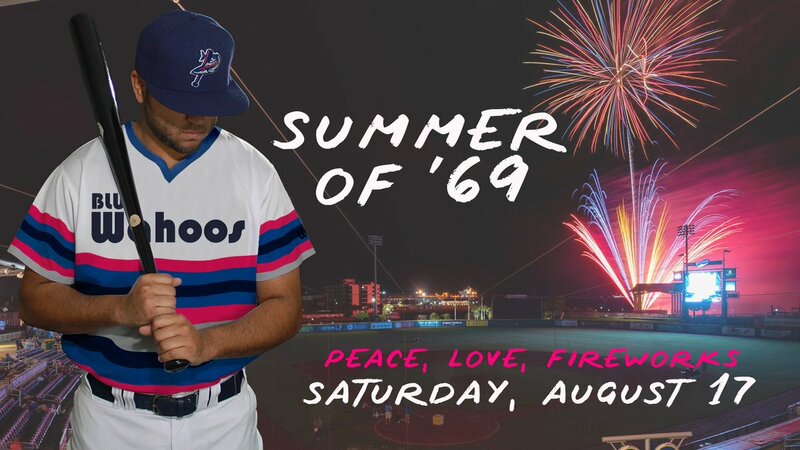 Tulsa will be repeating its 918 jersey promotion with its Tequila Sunrise-esque uniform (only because the stripes repeat on the front instead of the UltraStripe pattern). Also, Hartford’s Latin heritage night jersey returns (Los Chivos) with the purple, blue, green, and gold kit. There is one more with a dark blue/black theme that I can’t seem to locate on the Web. Pardon my ignorance, but does anyone know what Rich Friedman is referring to when using the word “grip” when he says “being the grip for the camera guys and such” or “Some of the grips are female”. So in this case they are kind of like the camera guy/gal’s producer/technician per say. Any idea why this job is called a “grip”? Wikipedia did not explain that. Rich here. The ‘grip’ is the person that follows the cameraman and coils/uncoils the cord attached to the camera. Ah, this would lead me to believe this job is called a Grip because one “Grips” the cable, but I may be jumping to conclusions. My internet searching for the etymology of the use of the word grip for this job title is proving fruitless. Fantastic lede! One of the best in the history of Uni Watch. Love love love when an interview subject is more enthusiastic about the Q&A than even the interviewer is! Another issue I find with email vs. in-person interviews is that talking verbally gives a subject an easier opportunity to elaborate, ramble, go on tangents and give good stuff you might not even be looking for. With email interviews, most people don’t like to type a lot, so they keep answers short (often too short). Plus email gives the subject a chance to edit and fine-tune responses, which is almost always less revealing and less natural. Thanks for the props, Mike. Being the Mop Guy is like winning the lottery. Both types of interviews have their pluses and minuses… For me, doing the email interview allowed me not to overlook things – I typed up my answers, and then walked around with them for a day or two, thinking about how I could clarify/elaborate/whatever. Yeah, it is a tradeoff for not going on tangents and discovering stuff neither Paul or I planned on talking about, but I think it kept me on topic and allowed me to give better answers than if I just answered and hung up the phone. Also, I re-arranged one or two of his questions, to allow for what (I thought) was a more logical flow of Q & A. Rich, you’re a journalist’s dream. In the Gran Bag section, isn’t it a contradiction to say “Black for Black’s sake” and then give a reasonable explanation for why they wore black? Loved the Mop Guy interview! Fascinating stuff. Great interview! Thanks Paul and Rich for taking the time to put that together. I loved the incredulous responses from the AD and the Asst AD. 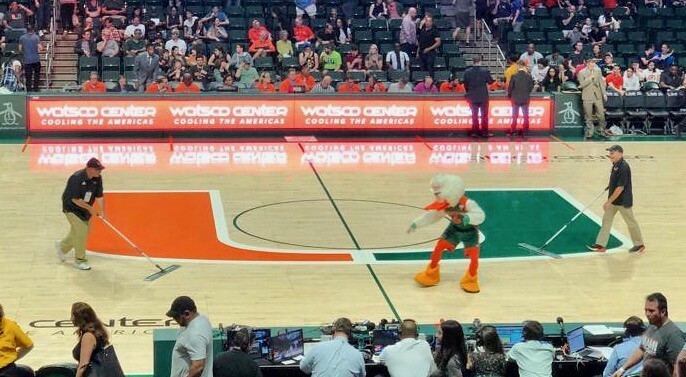 “You want to be the mop guys?” Miami probably has the best mopped floor in the NCAA. It’s not actually BFPS if there was an actual reason for wearing them. Blue numbers on the back of the Cubs away jersey – just Jackie Robinson day? Loved the interview. I’m not a ‘Canes fan but I will be rooting for their Mop Guys from now on! You have a great view of the game, Rich. I always liked the contrast of being under the basket…seeing and hearing everything up close at one end and being able to view an entire play unfolding at the other. And you get to see the whole game. As a former vendor I only saw half of the game because the other half was spent walking up the steps or getting more food/drinks from the commissary. Hope you get to keep mopping for years to come! Thanks for the mop guy post. I commented earlier when it was announced something like this interview could be happening that I was looking forward to it. It did not disappoint. I am always curious about “background noise” event operation jobs. This provided some great insights. Thanks again.